Alison Gillies began the cello at the age of eight, receiving free lessons through Wiltshire County Music service. After receiving several school prizes for musical achievement, she went to study privately with Bruno Schrecker of the Allegri String Quartet. She read for a BMus at Cardiff University, where she received a three-year string scholarship and was awarded the John Morgan Lloyd prize for meritorious achievement in her final year. Whilst at Cardiff, Alison performed both the Vivaldi double cello concerto and the Saint Saens concerto. She continued her studies at Trinity College of Music, where she read for an MMus in performance studies, studying with Richard Markson. During this time she became a founder member of Quattro String Quartet and in 2003, performed the Elgar cello concerto with the Rhondda Symphony Orchestra. Alison moved to Bristol in 2004 where she is reading for an MPhil in British music at Bristol University. 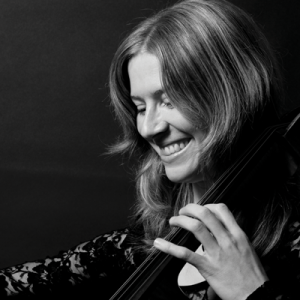 She continues to follow a career as a freelance cellist and has worked with RTE Concert Orchestra, Guilford Philharmonic Orchestra, New London Sinfonia, Bath Philharmonia, West of England Philharmonic Orchestra, Co-Opera Ireland, British Philharmonic Concert Orchestra and the National Symphony Orchestra among others. She has recorded for Radio 4 and had TV appearances on HTV Wales and S4C. In 2005 Alison toured Japan with pianist Masachi Nishiyama and in 2006 was invited to be principal cellist of the Seychelles International Festival Orchestra. In 2007 she took part in the Concert for Diana at Wembley Stadium playing with Kanye West. Alison plays a 2003 copy of a Ruggeri cello by John Dilworth.